Self-driving battery car will roll off suburban Detroit assembly line. GM CEO Mary Barra with an autonomous Bolt. 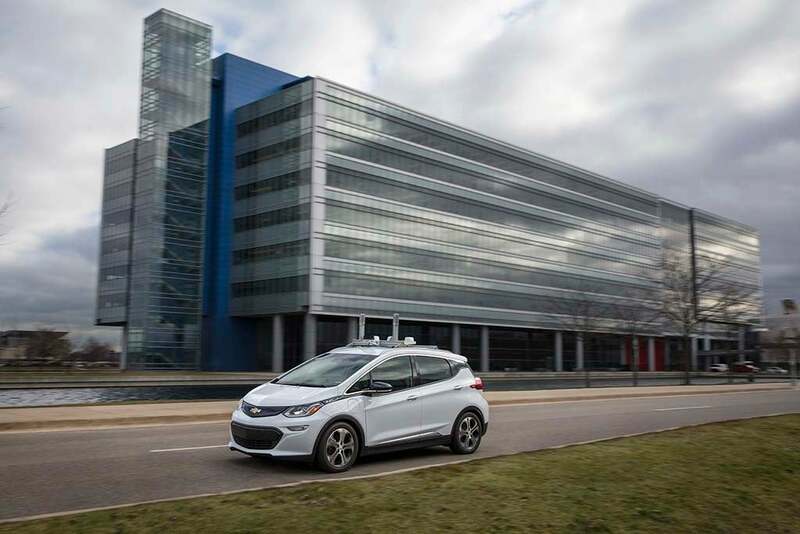 General Motors will join the growing list of automakers testing autonomous vehicles on public roads in Michigan, expanding a program that has already put 30 self-driving Chevrolet Bolt EVs on roads in San Francisco and Scottsdale, Arizona. The new models will add the latest in sensor technology, including laser-based LIDAR, cameras and radar, and will roll off the same, Orion Township, Michigan assembly line producing the retail version of the Chevy Bolt EV. GM delivered the first retail version of the long-range battery car to three customers in California earlier this week. 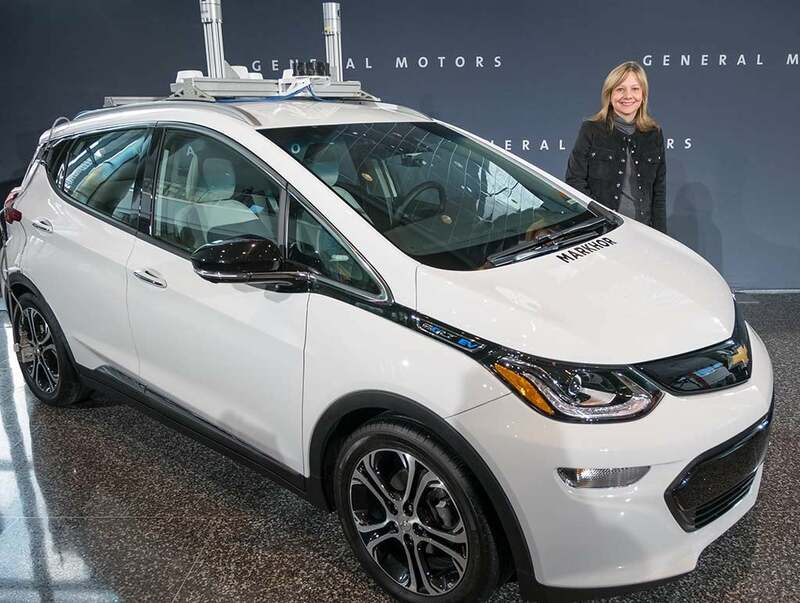 “GM will immediately begin autonomous vehicle testing on public roads in Michigan,” CEO Mary Barra announced during a news conference at the suburban Detroit plant on Thursday afternoon. The announcement came just days after Michigan Governor Rick Snyder signed into law the so-called SAVE Act, which expanded on earlier autonomous vehicle test legislation. It now allows for not only public testing of self-driving cars but the use of such vehicles for ride-sharing services. It also will eventually allow the testing of fully driverless products. 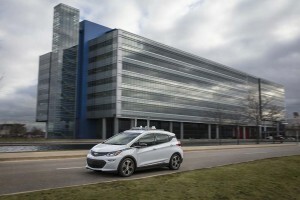 An autonomous Chevrolet Bolt EV shown running at the GM Tech Center in Warren, MI. GM rival Ford Motor Co. recently announced plans to launch production of driverless vehicles by 2021. There has been strong interest in that technology by ride-sharing services such as Uber and Lyft. They believe that by eliminating drivers they can bring prices down so low they will be competitive with private vehicle ownership. For now, GM is focusing on hands-free technology with the Bolt EV test. That means a trained operator will need to remain behind the wheel ready to take control in the event of an anomaly or emergency. The largest of the Detroit makers plans to begin putting Bolt EVs into use in the Lyft fleet sometime next year. Initially, they will be conventional versions of the battery-car and will be offered to drivers at a discounted lease rate. Eventually, GM and Lyft want to add autonomous versions and, longer-term, could switch to fully driverless versions of the Bolt. GM last January invested $500 million in Lyft and reportedly considered acquiring the ride-sharing service entirely – a plan Lyft rejected. GM also announced last March the $1 billion acquisition of San Francisco-based Cruise Automation, a start-up focusing on autonomous vehicle technology. 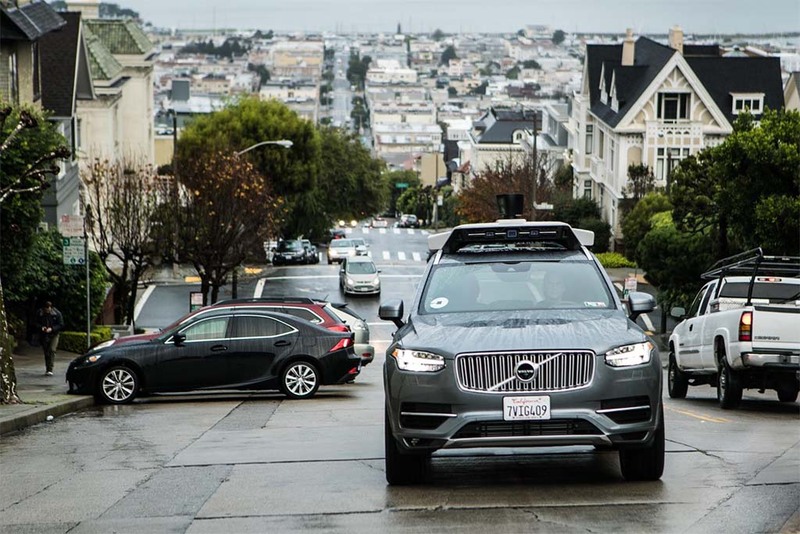 One of 11 autonomous Uber Volvo XC90s in a pilot ride-sharing program in San Francisco. Most major automakers have begun testing autonomous vehicle technology, as have numerous industry suppliers and start-ups like Cruise. So has ride-sharing Uber which, in September, started testing hands-free Ford Fusions in Pittsburgh where it has set up an autonomous vehicle research center. Earlier this week, Uber began running a ride-sharing pilot program in San Francisco using modified Volvo XC90 SUVs. But the company decided not to apply for the permits required by state law. The California Department of Motor Vehicles has issued a cease-and-desist order against Uber and the case could wind up in court. Another 20 companies have sought permits to test autonomous vehicles in California. This entry was posted on Friday, December 16th, 2016 at and is filed under Automobiles. You can follow any responses to this entry through the RSS 2.0 feed. Both comments and pings are currently closed.